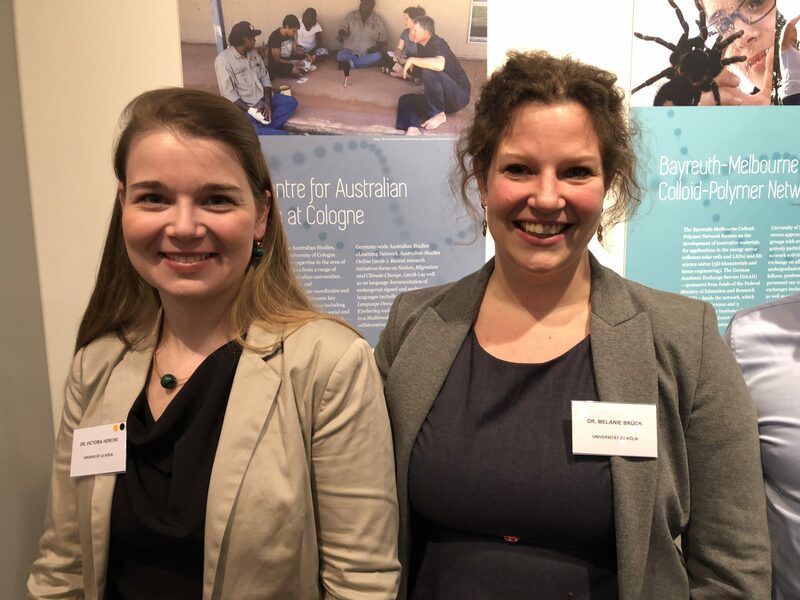 On 20 November 2018, the Australia-Germany Research Network was inaugurated at the Australian Embassy in Berlin. 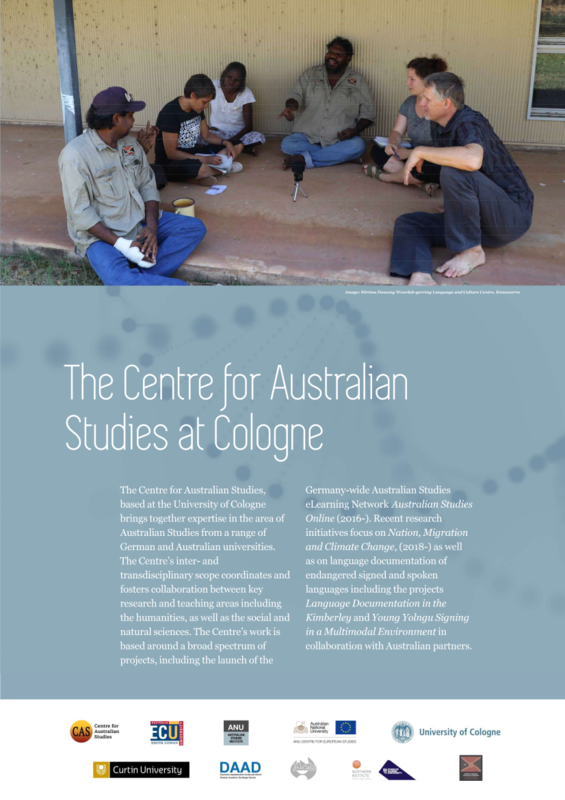 The Centre for Australian Studies, now a part of this network, was kindly asked to attend and present a poster detailing some of its manifold research projects in a related exhibition that was part of the inauguration event. 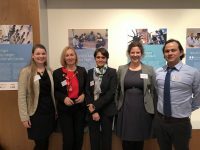 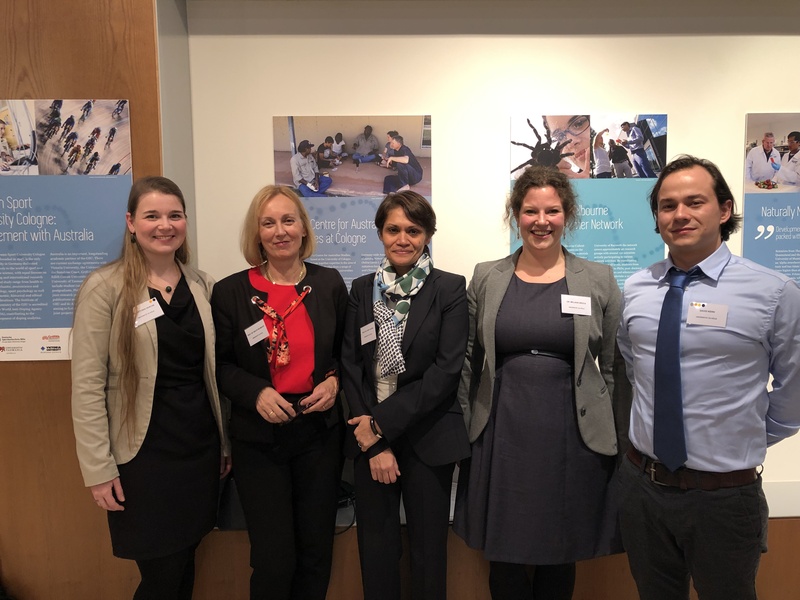 The Centre’S co-directors, Prof. Dany Adone, Prof. Beate Neumeier, as well as coordinating staff members (Dr. Melanie Brück, Dr. Victoria Herche and David Kern) followed the invitation. The Centre for Australian Studies kindly thanks the organisers for a great event!